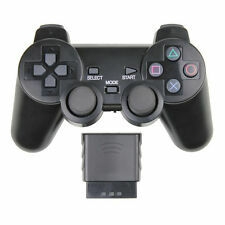 Connect via Bluetooth (Wireless). 2x Receiver. Solid 2.4GHz Radio Frequency Technology. Operation Distance is 8m and up to 10m Maximum. Life Style. For Microsoft. For Nintendo. Working Frequency: 2.4 GHz. Length of cable:1.7m. - 2 analog keys. Connect via Bluetooth (Wireless). Solid 2.4GHz Radio Frequency Technology. Operation Distance is 8m and up to 10m Maximum. Life Style. For Nintendo. For Microsoft. Working Frequency: 2.4 GHz. Colour: Black. Color:Black - Ergonomic design to ensure an optimal handling. - Length of cable:1.7m. 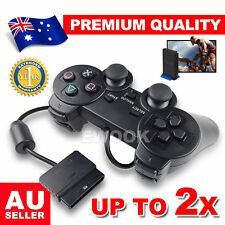 Dual shock, giving you a great gaming feeling. 4 top mounted trigger buttons, 2 analogue thumb sticks, left and right shoulder buttons are designed for ease of use. Length of cable: 1.6M. We will reply you ASAP. Plug and play. 2 analog keys. Ergonomic design to ensure an optimal handling. Wireless distance: 8-10m. Operate with 2 x AAA (LR03) batteries - auto battery saving function. Color: Black. We will try our best to solve your problem. Germany 12-15. Australia 10-15. U.K. 10-15. Canada 12-15. We will reply you ASAP. 4 top mounted trigger buttons, 2 analogue thumb sticks, left and right shoulder buttons are designed for ease of use. YOU ARE BUYING QUALITY. We strive to serve you the best possible service. SIMILAR TO PHOTO. 100% Quality tested & cleaned. Pick up not available at all. Trending at AU $24.54eBay determines this price through a machine-learned model of the product's sale prices within the last 90 days. Dual vibration. - Toggle switch, with 11 function buttons. Full analog / digital action buttons. Toggle switch. We will always here to solve them for you. It won't help the problem to be solved. 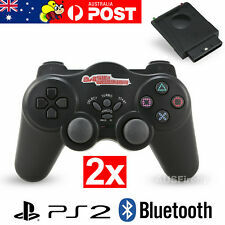 NEW OLD STOCK Power Wave PS2 controller limited collectors edition. NEW OLD STOCK Power Wave PS2 controller limited collectors edition.. Condition is Brand New. Sent with Australia Post Standard Service. 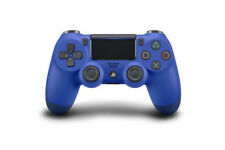 Color: Black Case Blue Joystick. Joystick: 8 direction, use iron stick. We will always here to solve them for you. It won't help the problem to be solved. - Don't need to install drive. Plug and play. Rare Ps2 controller designed for PlayStation 2 It's still sealed original packaging. 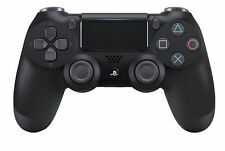 This controller or pad isdesigned for FPS games, you never need to take your thumbs off the thumbsticks as there are many buttons & paddles situated on the gun handles and elsewhere, and it has programmable button-mapping profiles for different games. There are reviews on youtube, like this one for the XBOX version: https://www.youtube.com/watch?v=6fMQqhd7fP8 Please note It's a sealed package but you can see some scruffs on the package. You might notice some dust inside the package due to it's time. All prices are in AUD. Sorry, pickup is not currently available. Model: SCPH- 10010. 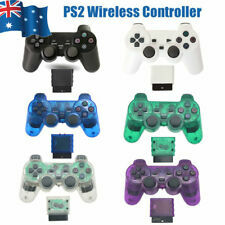 Product Line: Sony DualShock 2. Connectivity Technology: wired. Manufacturer: Sony. Specifications are subject to change without notice. While every attempt has been made by Frost in the production of these specifications, possible errors or omissions may still occur. PlayStation 2 Joystick. Colour: Black. START SELECT. We are very proud to say we haven't had a faulty product to date. We are dedicated to providing quality assured products both new and old! 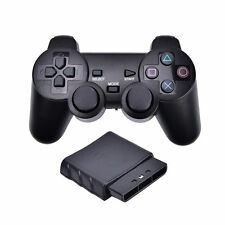 At Start Select Gaming we provide you with the best gaming products with detailed images. Trending at AU $7.91eBay determines this price through a machine-learned model of the product's sale prices within the last 90 days. Features 12 analog keys to add intelligence to your gamingTwin Dual Shock motors rumble with each action making every impact feel like you're right in the gameThe layout of PlayStation2's Dual Shock 2 controller is nearly identical to that of the original PlayStation's Dual Shock controller, which is good news for most gamers.The main new feature is that, when the buttons are pushed, the controller can register how much pressure is being exerted.This adds a completely new dimension to sports, racing, fighting, and more games. Aside from the Start and Select buttons, all of the functions are analog for greater control, a wider variety of operations, and a more compelling interactive experience.Two convex analog thumb pads and two force-feedback so.